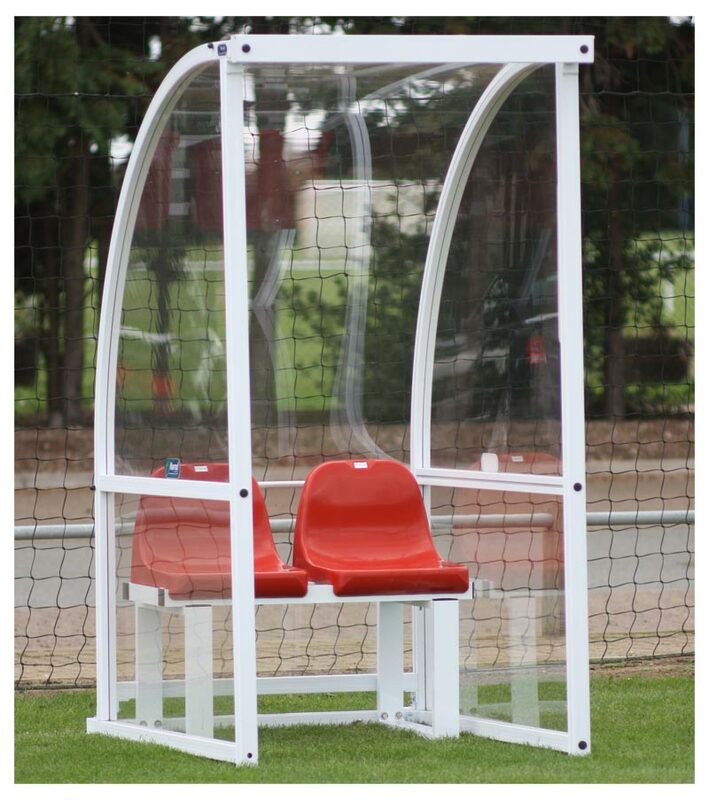 The Harrod Sport ® Premier Curved Socketed Referees Shelter is a 2 person version for referees and officials. The shelters are 2.05m high allowing full standing access, with a total external depth of 1.57m and an internal depth of 1.3m. 1 x Aluminium Team Shelter. 1 x Set of polypropylene seats. Chem bolts - Harrod Sport Chem Bolt Shelter Anchors. Suitable for use in concrete and tarmac surfaces. Anchors - Harrod Sport Premier/Superior Team Shelter Anchor. Suitable for pitches where concrete base pad can't be installed. Spirafix Kit - Harrod Sport Spirafix Kit for Aluminium Shelter. Designed for use on grass surfaces. Manufactured from 50 x 50mm bespoke aluminium extrusion. Individual injection moulded polypropylene seats. Extended legs and 4 sockets. 1m shelter to seat 2 persons - 85kg per shelter.